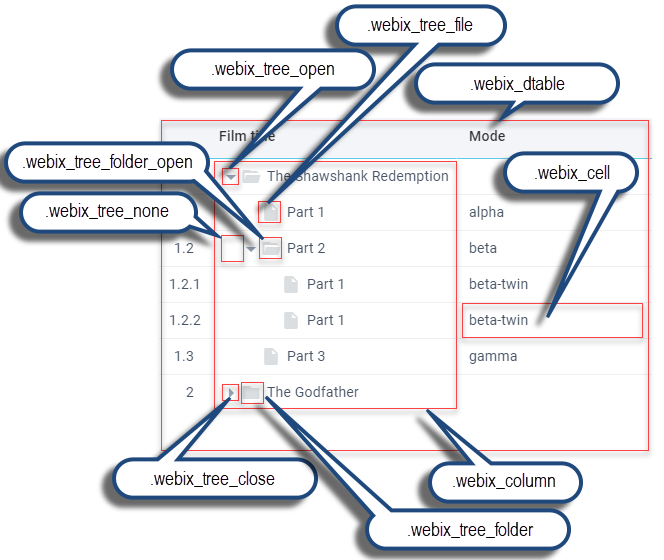 TreeTable combines features of the Tree and DataTable. Hence, its CSS classes for it are inherited from both of the components. If you have not checked yet, be sure to visit site of our main product Webix web ui framework and page of tree table widget product.